You may have heard that copyright exists in a work as soon as it is created. And you saw a lawyer twitch when you said that. It’s because we want to correct you, but also we don’t want to spoil the cocktail party and get kicked out before the bacon wrapped appetizers arrive. First, whatever it is has to be able to be copyrighted in the first place. Next, it has to be “fixed in a tangible medium.” A tangible medium is something that can be seen and reproduced. And that’s where we start losing people – eyes glaze over, people start looking for an excuse to go get another glass of wine, they suddenly remember they left something in their car. But it matters, and we can be cool. In fact, we can even help you bore your kids with a copyright story while pretending you are cool. How? (You dubiously ask.) Fortnite. That’s how. Specifically, Fortnite dances. Fortnite is known for its dances. Just check out any Jumbotron anywhere, and you will see kids doing little jigs. The Floss, the L is for Loser Dance, and my all time favorite – the Carlton. Even if you didn’t know them from Fortnite, I guarantee any kid under the age of 15 knows them from that, and likely only that. The problem is that Fortnite didn’t create the dances. Someone else did, and Fortnite co-opted them. And those who created the dances are not happy. Several of them have sued. And now we are all getting a little lesson in copyright law as it applies to dances. The first lesson we learned is what does ‘fixed in a tangible medium’ mean? As I said, it is something that can be seen AND reproduced by others. So, if Alfonso Ribeiro just busted his move out on the street, it doesn’t stand a chance. It could be seen by a few around, and he could dance it again and again. However, it really isn’t fixed anywhere. But put that on video, like when it was first done on The Fresh Prince of Bel Aire (we’ll wait as you sing the opening song. “West Philadelphia born and raised…”), and now it is fixed. Or if he drew out diagrams or instructions, then we are talking about fixing it in a tangible medium. Given, these dances were often popular on video long before Fortnite got a hold of them, they at least got past this hurdle. But how about you? Are your important creations fixed? It is a good reason to actually write down that speech or record that improv sketch or rap flow. Fix it in a tangible medium to allow at least a start down the copyright path. Over my next few posts, we’ll go deeper into what is happening with copyright and these Fortnite dances and copyright. 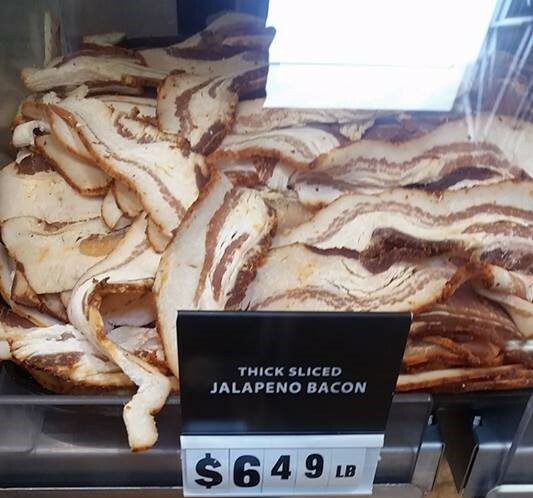 Don’t worry, I’ll bring my own bacon.